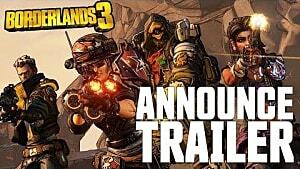 During Gearbox's PAX East 2019 presentation today, Gearbox president Randy Pitchford and Borderlands Creative Director Paul Sage unveiled Borderlands 3. 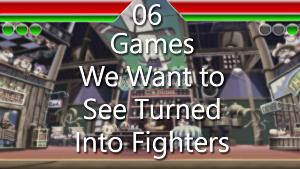 The game has been five years in the making, though at the time of the announcement, Pitchford offered no additional details regarding a release timeframe or platforms the game would be available on. 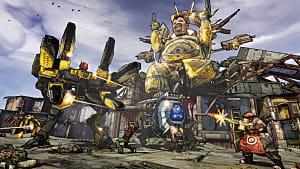 The reveal came at the end of the company's PAX East presentation, after Pitchford and others highlighted several additional Gearbox projects, including remasters of the original Borderlands, Borderlands 2, and Borderlands: The Pre-Sequel. Prior to finally revealing the game, Pitchford and Sage took some time to discuss yesterday's teaser trailer. 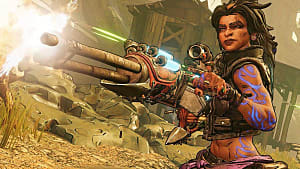 While not every character shown on the mask model will be seen in Borderlands 3, most of them will, including an older Tiny Tina, Vaugh, Moxxie, Hammerlock, and Lilith. 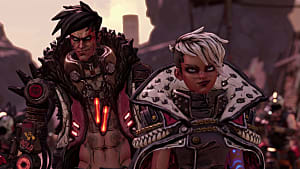 The model and the trailer also hint at Borderlands 3's main villains, whom Pitchford referred to as the cultists. 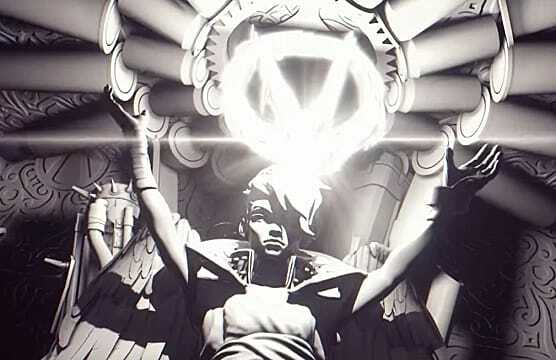 The trailer shows a few references to what could be taken as a cult, the Children of the Vault, and a related broadcasting network, linking the cult Pitchford mentioned to a crucial part of Borderlands lore that spans the entire series. Not only does the game feature fan-favorite characters from throughout the series, but it will also include over one billion guns (including guns with legs). 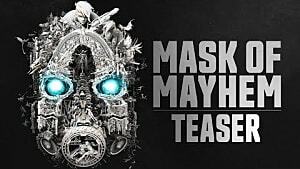 Pitchford said the mask in the teaser trailer is made entirely of guns and was meant to show how focused the game will be on weaponry and variety. The trailer and the end of Gearbox's presentation was marred by technical issues. 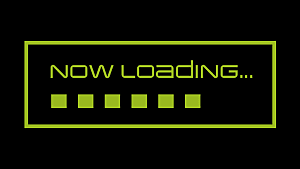 However, Pitchford assured the audience that the actual Borderlands 3 game has no problem running in native 4K and doesn't suffer from choppy frame-rates, which you can see in the official trailer provided right after the presentation ended. Pitchford also said there are plenty of details to come in the future.